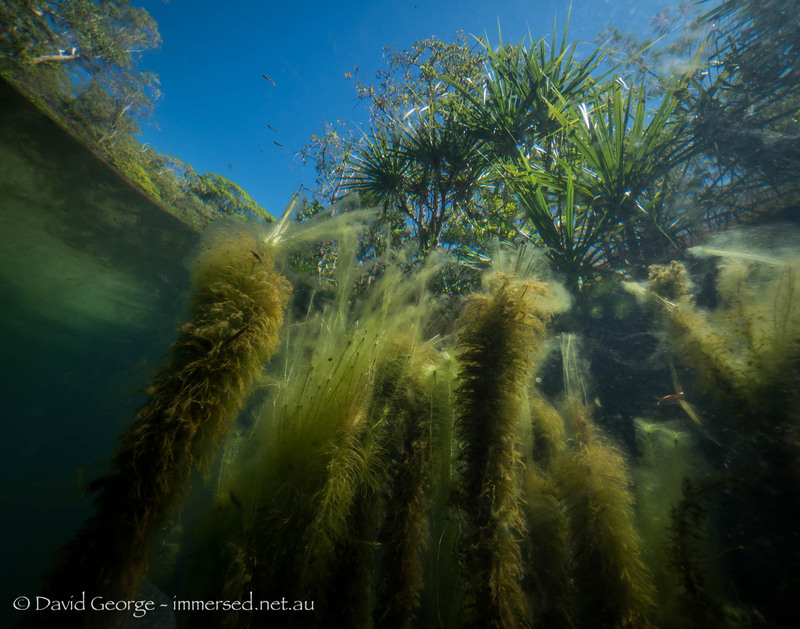 This photo was taken in a freshwater pool in Kakadu National Park. The clear and calm water provided a window to the riparian world outside. The fish are a native rainbow fish species.